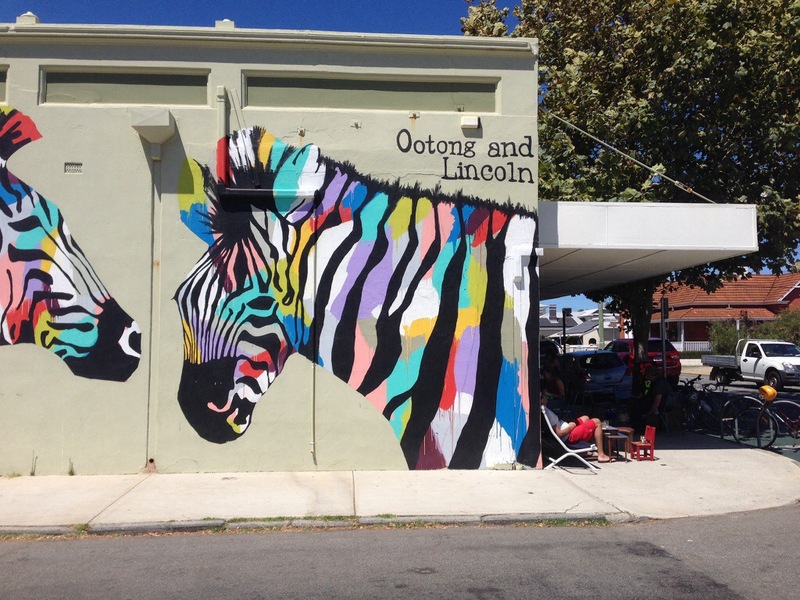 Ootong & Lincoln is one of those Freo venues, relaxed, quirky dining and habituated by locals, and big city folks like us on a weekend road trip. The large cafe was bustling on a busy Saturday morning. Ootong and Lincoln has a delightful list of smoothies to chose from and we went for a green smoothie. 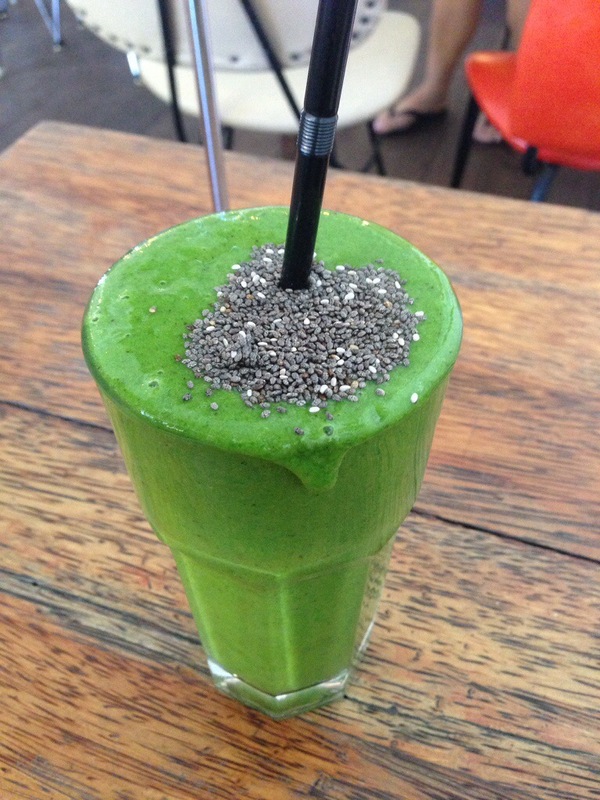 It was so bright and vibrant, filled with kiwi, spinach, apple and pear. Kiwi is an interesting and uncommon smoothie ingredient so it was a nice change. 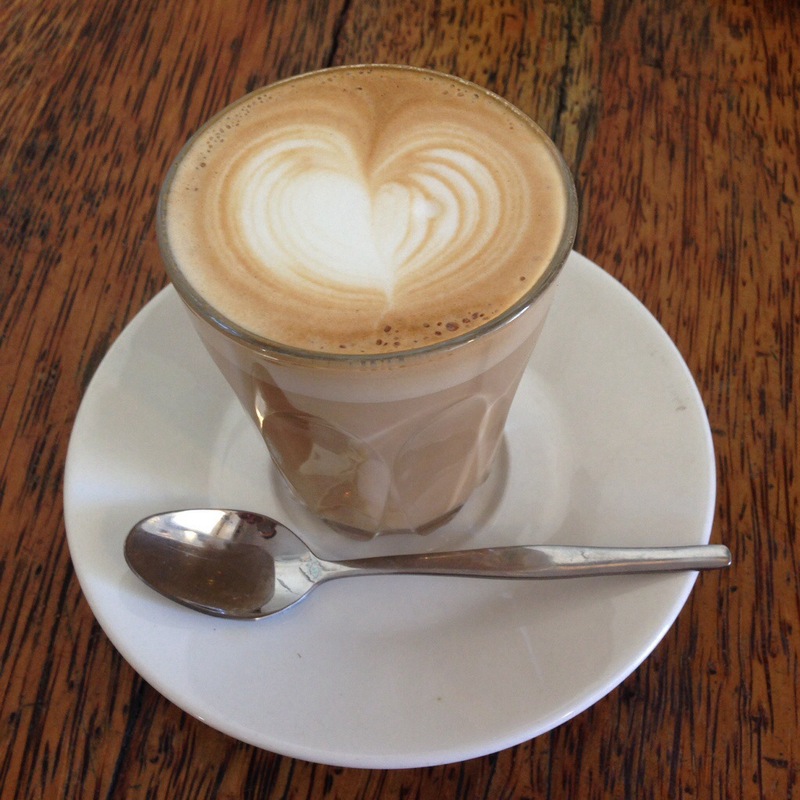 Our coffees were good, nothing stand out or that stayed in the mind but a compliment to our breakfasts nonetheless. The potato cake, bacon and hollandaise sounded such a treat. 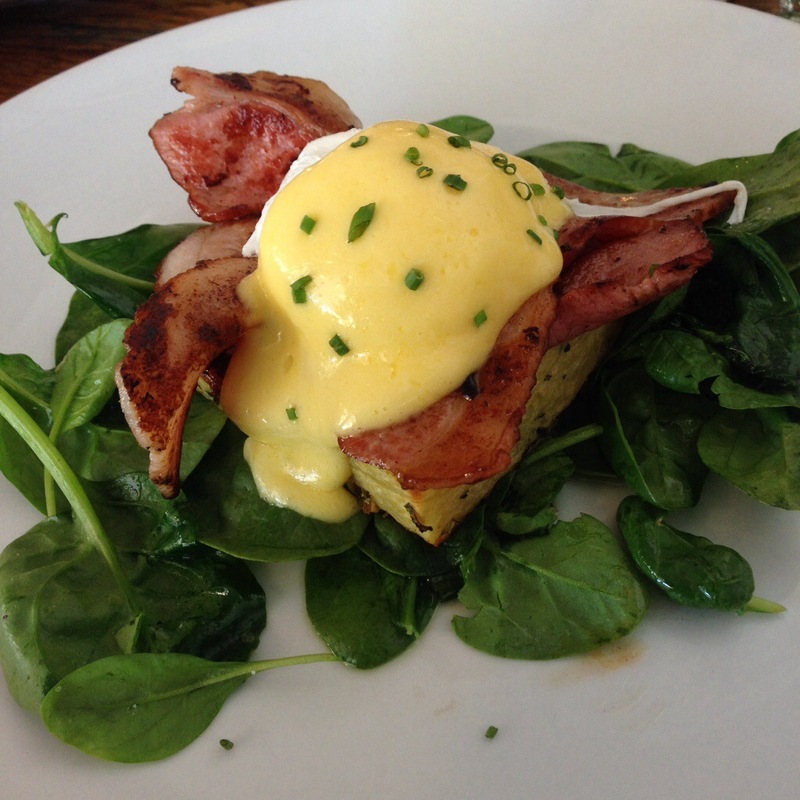 When it arrived at the table it looked great, hearty on a bed of luscious baby spinach with oozing hollandaise. The potato cake was fantastic, little crispy bits, soft and a perfect base for a well poached egg, crispy bacon and the hollandaise. Despite this the serve which initially looked large was mostly spinach, there was a single egg, a little bacon and the potato cake wasn’t any larger then a single piece of cafe sized toast. For something that was so tasty it just wasn’t filling enough and for a dish that was almost $20, an extra egg (and no higher price) would at the very least be expected. 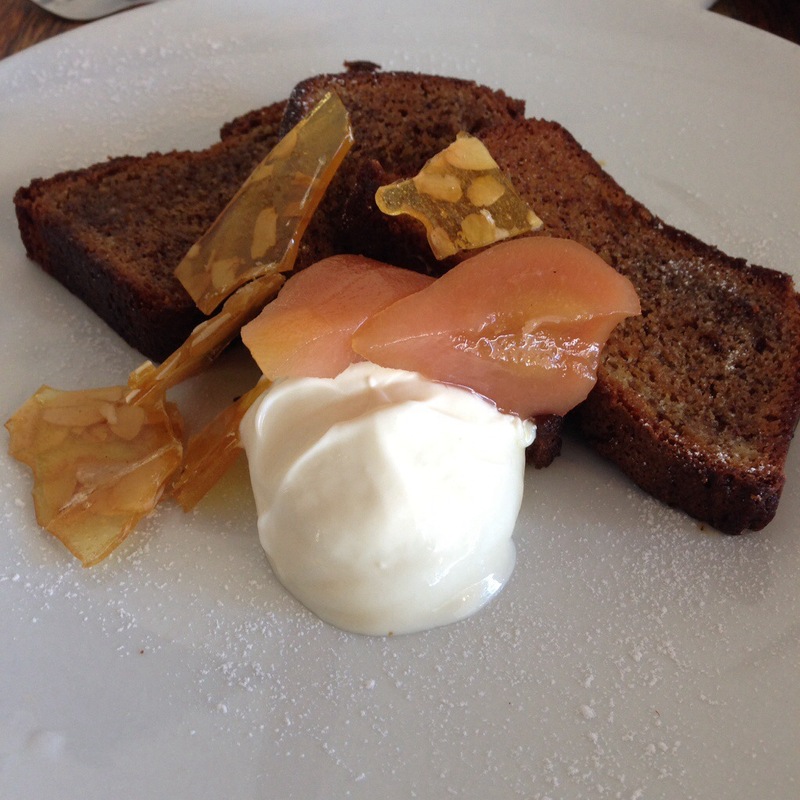 We also tried the banana bread, which came with yogurt, almond praline and poached pear. The best part of the dish was the light tang of the yogurt with moist, sweet banana bread. The flavours were especially complementary and balanced so the sweetness didn’t overwhelm while the mix of textures, soft, crunchy, moist generated interest throughout. The serve on this was just right unlike the potato cake and you were left contentedly full. Our Ootong & Lincoln experience was definitely a positive one, but one of the more expensive breakfasts we’ve had of late. 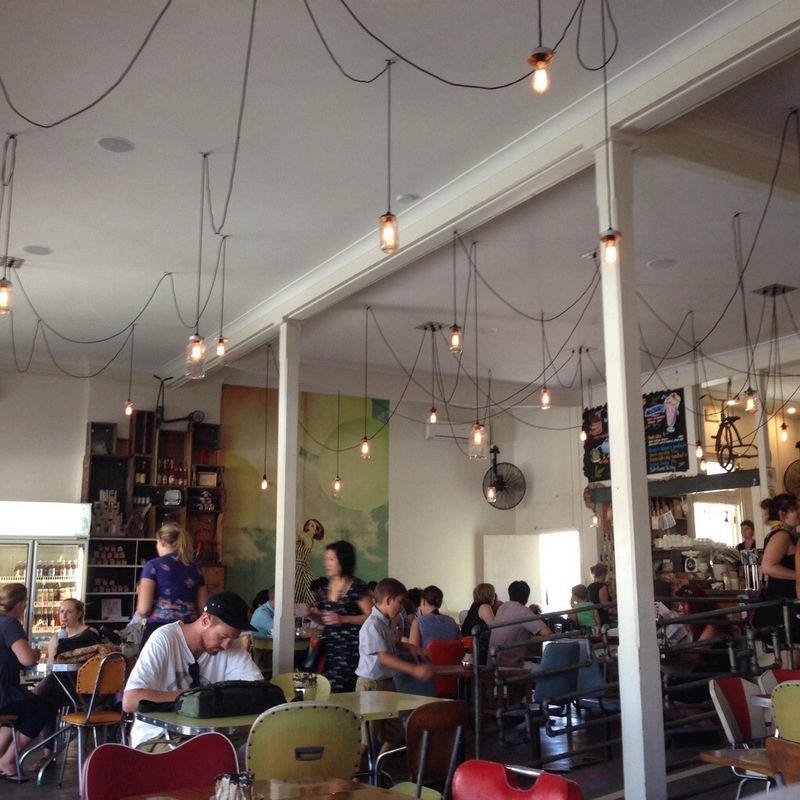 Like so many places in Fremantle it has such a relaxed vibe and such unique furnishings you can’t help but love it! Their menu too is out of the ordinary and well worthy the trip for fellow Perth foodies.